« Working in or with Open source databases? Back in 2008, an e-mail dropped into my inbox advertising the Saltire Foundation Fellowship. It described a combination of business education and practical experience through placements that sounded very appealing to me, and it was funded by the foundation, so I decided to investigate further. At the time, I was CTO of a Scottish software company called CHIL, and I was at a stage of my career where I found myself increasingly making business related decisions I felt unqualified for. This was in contrast to my technical work, where a combination of my undergraduate degree and experience had equipped me pretty well. I had already been looking at a number of MBA programmes, but I hadn’t been terribly motivated by what I had seen. Most of the schools I could afford to go to were focussed on very corporate programmes, and I had spent my whole career around young technology companies. Most of the programmes I found inspiring, I couldn’t afford. An application form, battery of online tests, and a weekend assessment centre later, I found myself accepted as one of the first cohort for the Fellowship programme. We had a kick-off weekend in Scotland in November, and it was great to meet the other fellows and some of the professors who would be running the taught part of the programme, then in January we all set off for Babson College in Boston. Babson isn’t as well known as its neighbours Harvard and MIT, but it has consistently ranked number one in the world for entrepreneurial business education for many years now (including in 2009 in U.S. News & World Report, The Princeton Review, The Financial Times). When we arrived there was deep snow on the ground, and we were all facing four months away from loved ones at home. I don’t think anyone really knew what to expect. The education programme was intensive but incredibly rewarding. We were taught seven hours a day, five days a week in the classroom, usually with one or two professors to fourteen fellows. From the start we were involved in business simulations and real world consulting projects for local companies, and we regularly had visiting entrepreneurs in the classroom telling their stories. The best part about it was that although all the professors had academic credentials, the vast majority were entrepreneurs. They had started companies, built businesses, been through the pain. They really knew what was important, and could illustrate their teaching with their own experience. This made a huge difference to me, it made it all very real. In May we moved on to the second part of the programme – placements in sales or marketing roles with global companies. I was fortunate to be placed with Sun Microsystems in Palo Alto, and I had a very interesting project around the management of complex sales channels. It was an excellent opportunity to work with a global team, and the project I ran included people from Germany, Italy, Dubai, Hong Kong, Canada, and all corners of the USA. I had an apartment right across the road from Stanford University and right in the heart of Silicon Valley, so I was also able to attend a lot of events and immerse myself in the high-tech start-up culture that prevails there. Through the Saltire Foundation and the GlobalScot network I got connected to quite a number of significant figures, including CEOs of Fortune-100 companies, so I was fortunate to hear some of their stories too. It was a relief to come back to the UK in July after seven months away from my wife (and the cat! ), and start on the third major part of the programme, a placement with Scottish technology company ATEEDA. This was more familiar territory for me in some ways, but the project I was assigned was pure marketing which was a little scary. I had to provide a detailed market assessment for a new product, and build a strategy for market entry. My work seemed to be well received, and I am still working for ATEEDA on a consultancy basis now I have completed the programme. The placements at Sun and ATEEDA were interspersed with further time with professors from Babson to help us consolidate what we had learned and prepare for the next steps. The fellowship year was a lot of hard work, but we also had a lot of fun. We formed a close-knit group and friendships made there will last for a long time. We explored Boston together and as befits Scots abroad, we visited a number of bars… The weekend we had in Las Vegas is best not discussed in an open forum however. We organised activities including diving, skiing, and white-water rafting. We saw live bands, went to the baseball, enjoyed the Boston Symphony Orchestra and celebrated the 4th of July! The first cohort of fellows, myself included, graduated from the programme last December, and were presented with our certificates by Crawford Gillies (Chairman of Scottish Enterprise, and one of the driving forces behind the Saltire Foundation) and Peter Lederer (Chairman of the Saltire Foundation, Gleneagles, and Visit Scotland). The combination of education and experience offered by the fellowship has given me the mental toolkit to approach business problems with the same degree of confidence I previously had in the technical space. The foundation also helped us to build strong networks in Scotland and abroad, which will be invaluable to us in our future careers. Graduates from the programme are now involved in companies ranging from global office accommodation suppliers through to high-tech start-ups. I’m now consulting for a number of growing organisations, and living and breathing start-ups – which is exactly where I wanted to be! 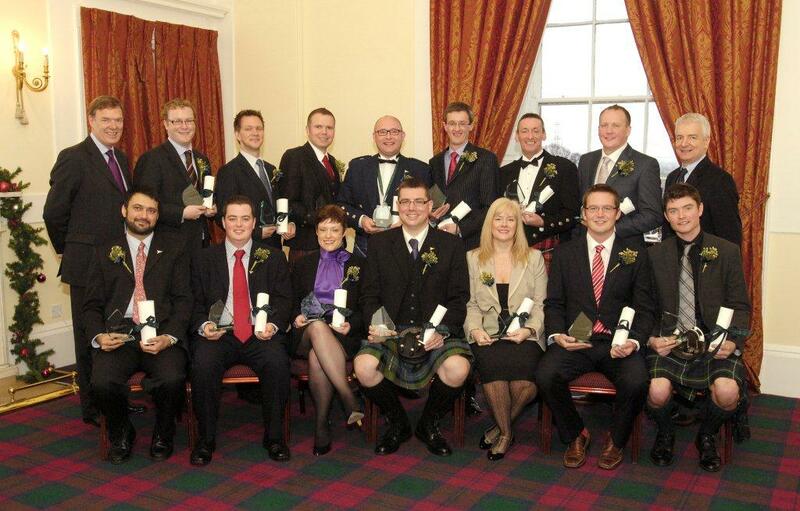 If anyone reading this thinks that they might be interested in participating in the 2010 fellowship programme, applications are now open at http://saltirefoundation.com/fellowship. I would be very happy to chat with anyone who wanted to find out more, and you can contact me at Ian.Stevenson@saltirefoundation.com if you wish to do so.